My family enjoys having game night at least once a month ! The kids really look forward to it, and to be honest mom and dad do too ! 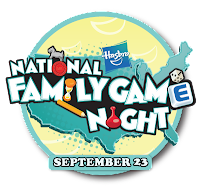 Be sure to mark your calendar for Wednesday, September 23, so you can be a part of the first-ever National Family Game Night! On this day, Hasbro is encouraging families across America to spend an evening at home playing games together to reconnect and reenergize relationships. Make sure to follow family game night on Twitter (@familygamenight) where you can find daily trivia, game news and information. Need help planning your next family game night? Involve the whole family in the planning process by allowing the kids to pick the games or choose the snacks. For variety, rotate responsibilities each time you have a family game night. Whether it's a specific family-favorite dinner before family game night, the way that teams are chosen or a 30-minute extension on bedtime, establish an activity on family game night that becomes a family tradition. This additional tradition will create even more excitement with everyone in the family. From week to week, recognize the family member who won the last family game night by posting their name on a special scoreboard—perhaps it's a place of honor on the refrigerator. Or, create a family crown that can be worn by the winner at dinner or during the next family game night. To keep the date with the family, set up reminders to make sure that family game night happens. 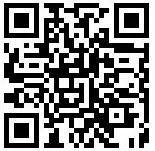 Set up an alarm on a handheld device or on the family computer. For the kids, put a note in their lunchbox reminding them about family game night. By building anticipation for family game night, you will help build excitement for family time. To expand the fun, invite other families in your neighborhood to participate in a family game night tournament. Or, if you have extended family members staying with you or if you are traveling during a scheduled family game night, invite everyone to participate! PICTUREKA!, SORRY! SLIDERS, OPERATION, MONOPOLY Jr.
My family and I love playing games, especially when we have a big group together! We have, however, banned one cousin who is freakishly good at guessing at trival pursuit. Thanks for the heads up! I'll get to organizing some games now! Actually, we have always had at least 2 family game nights a month since my oldest was old enough to play (she's 25 now, so that's a long time). We like it because it gives everyone time together to laugh and have fun. I have learned more about my children through game nights and craft nights than I ever have through a daily conversation. We love having a game or movie night as a family, since my kiddos are still a little young we try to rotate them since we don't have a lot of games for their ages.